Funding is determined by the number of hits to this web site. is prepared to be of service. Please sign the petition! Involve yourself with the message board. Click Above. 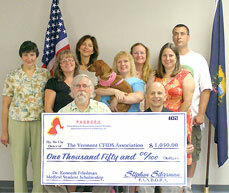 submitted by Kenneth J. Friedman Ph.D.
the May 12, 2008 Press Conference in Burlington. This includes the scholarship announcement, a sneak preview of our film and a dramatic altercation with a conspiracy theorist that ended the meeting. 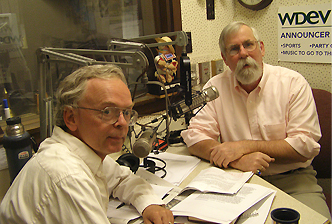 Rik Carlson on The Mark Johnson Show, May 7, 2008. 17 minutes, audio. Afterword by Nancy Klimas, M.D. This old myth surfaces once again and we need your voice more than ever! Letters in response to the New York Times! And,...from the New York Times! 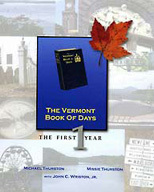 22 Vermonters "attend" Washington Conference. Fish or War by Kenneth J. Friedman, Ph.D.
Background information for the CFSAC research recommendations. Speak-Out! The Life You Save May Be Your Own! The CFSAC is in trouble. Years of work are at stake. 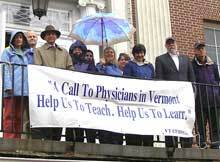 by Kenneth J. Friedman, Ph.D.
Searching for a doctor in Vermont. What we're up against. 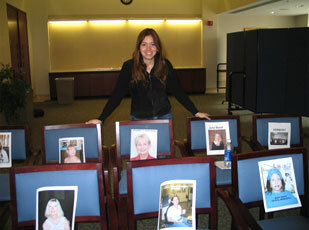 Contois Auditorium, City Hall, Burlington, Vermont, U.S.A.
providers in Vermont, about Chronic Fatigue Syndrome. and Philip Fiermonte, representing Congressman Bernie Sanders. 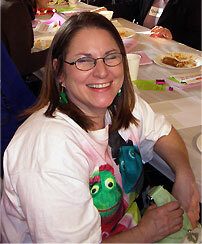 Lynne Vitzthum, representing Senator Patrick Leahy was also in attendance. 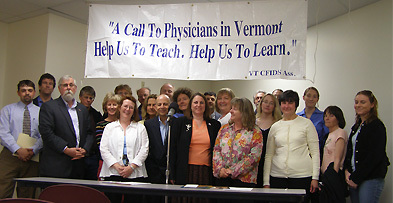 It is of critical importance to hundreds of Vermonters and their families that primary care physicians be instructed on the range of therapies across medical disciplines that can improve the lives of CFIDS patients. This bill will allow us, in conjunction with the Vermont Department of Health to print and distribute the Consensus Manual to health care providers across Vermont. 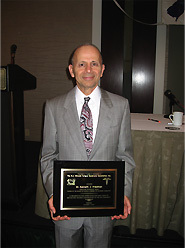 "An Act Relating to Chronic Fatigue Syndrome"
Live Radio Interview with Ken Friedman PhD. 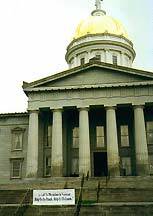 Chronic Fatigue Syndrome Education Legislation. 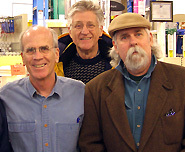 in Burlington Vermont on May 12, 2005. To his right is Burlington Mayor Peter Clavelle and Tonia Socinski-Barbin. Details are below. Click on the picture to see it enlarged. May 12, 2005 was International CFIDS Awareness Day. It was recognized in Burlington and in Washington D.C. and in other cities across America. There was a press conference co-sponsored by Mayor Peter Clavelle. In attendance was Ken Friedman, a representative of the CFSAC, Chronic Fatigue Syndrome Action Committee of Washington D.C. This committee has been charged by the CDC to recommend appropriate actions in treatment and management of CFS. We also heard from Rik Carlson, Tonia Socinski-Barbin, and Mayor Peter Clavelle. There where Proclamation’s from the Mayor, the Governor, and the Legislature, and an official update of the status of our bill, H.244. 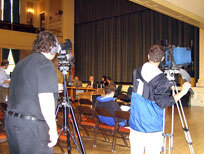 The event was filmed by Channel 17. 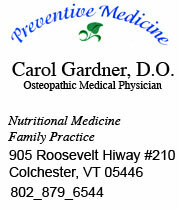 "Rep.Sanders ...is aware of and very sympathetic to the plight of those living with CFS. ...(and) is concerned and is supportive of the 11 recommendations to which you refer." Thank you for contacting me about Chronic Fatigue Syndrome (CFS). I appreciate hearing of your concerns on this issue. CFS is a devastating disease that impacts thousands of Americans and their families. Our knowledge about CFS is limited and treatment options are often ineffective. I recognize that it is a serious public health concern and deserves greater attention and commitment. The Chronic Fatigue Syndrome Advisory Committee (CFSAC) was chartered in 2002 to advise the Department of Health and Human Services (HHS) on the policies and programs that impact individuals with CFS. In August of 2004, the CFSAC submitted their list of recommendations to the HHS. The recommendations highlighted the need to expand research funding and scope, particularly in the areas of diagnosing and treating CFS in children and adolescents. It is important that the HHS give their immediate attention to reviewing these recommendations and developing strategies to foster expanded research and more effective treatment. I appreciate you sharing your experience with me,! and you can be sure that I will carefully monitor this issue. Thank you again for writing. Please keep in touch. Education is the key to recovery. You alone are responsible for the restoration of your health. The Wisconsin CFS Association recently hosted an International Medical Conference on Chronic Fatigue Syndrome, Fibromyalgia, and other related illnesses.You can get all the books and materials from the conference at their site, linked below.They have all the speakers on video, CD, and DVD. This is an extraordinary organization and they can help you. to print your own label.